JLR will introduce the first hybrid Land Rover offering towards the end of the year. 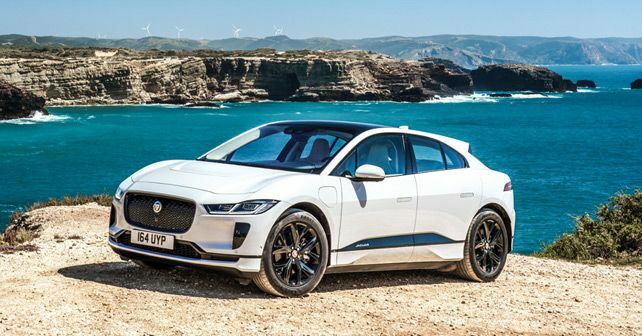 Jaguar’s first electric SUV, the I-Pace will make its way to India in the second half of 2020. In line with their global plans to offer electrified options for their products, Jaguar Land Rover has now announced its plans for the Indian market. The official statement from JLR revealed that they are scheduled to introduce hybrid vehicle from their Land Rover portfolio towards the end of the year. Jaguar will also not be left behind. The British car maker will launch its first Batter Electric Vehicle, the I-Pace in the second half of 2020. Land Rover currently has the Range Rover and the Range Rover sport with PHEV (Plug-in Hybrid Electric Vehicle) powertrain options. The second-generation Evoque could also come fitted with hybrid tech. Meanwhile, the I-Pace set to come to India next year is an all-electric SUV. It employs two electric motors – one on each axle – delivering power equivalent of 400 horses and 695Nm. The I-Pace has an electric range of 480 kilometres. We have already driven the Jaguar I-Pace. Here's a detailed review.